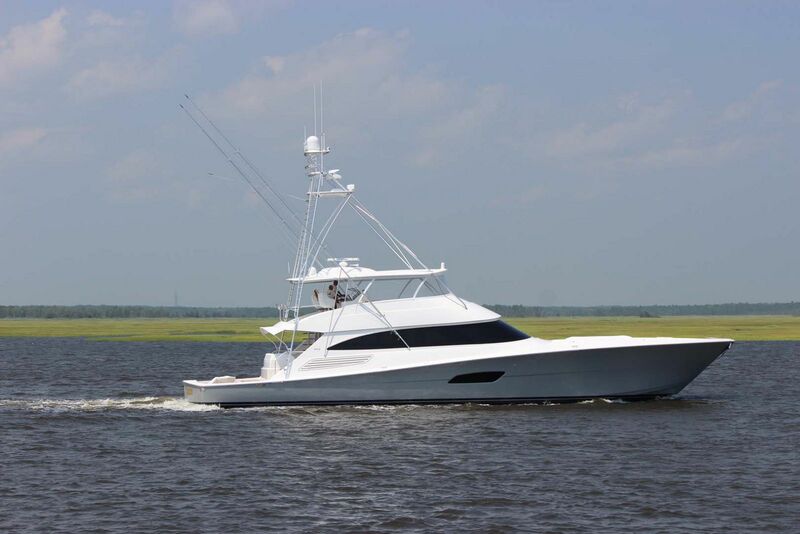 If you loved the layout and capabilities of the new Viking 68 Convertible, then you will be whole-heartedly impressed with the 68 Enclosed Bridge Version. 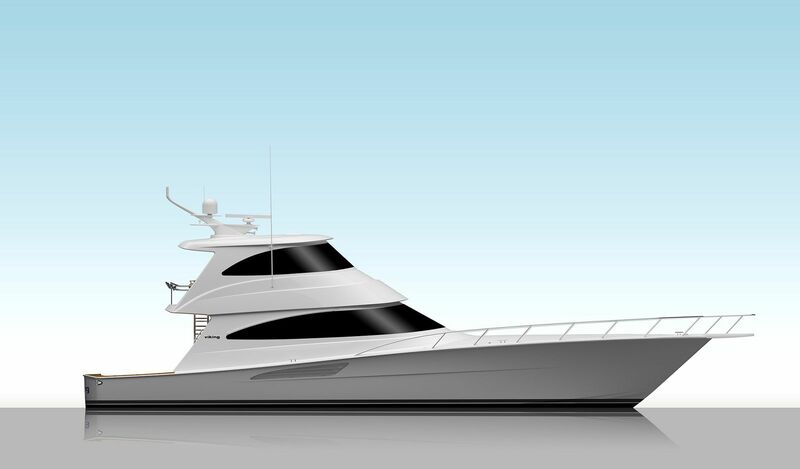 There have been many changes to what an enclosed bridge is expected to have in the Sportfish industry over the last several years and Viking has been forward-thinking in their approach. On Viking's 68EB, the bridge services as a private, air-conditioned (or heated) retreat from the elements complete with amazing views and lots of room to lounge. The comfortable L-shaped sofa and walnut coffee table sit across from a full entertainment center that is housed in walnut wood cabinetry. 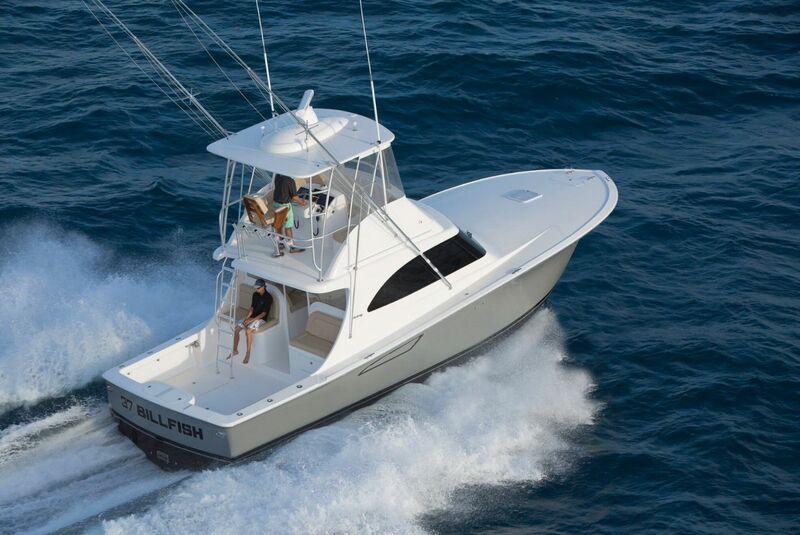 This is also the home of the upper helm on the 68EB which features a large wrap-around windshield for excellent sightlines and a raised console for easy access to all controls. The upper helm console holds the electronics components, engine controls and VIPER (Viking Independent Programmable Electro-hydraulic Rudder) steering. Its black Ultraleather surfaces and visor reduce glare. 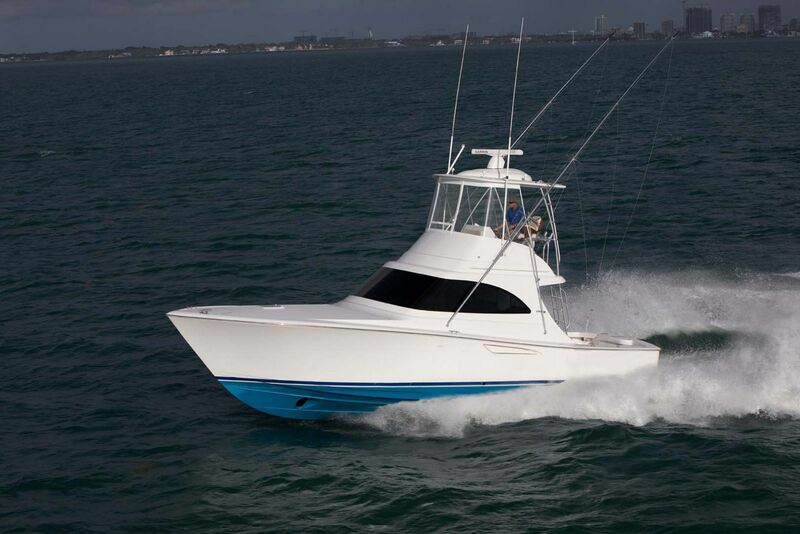 All electronics on board were installed by Viking's sister company, Atlantic Marine Electronics. 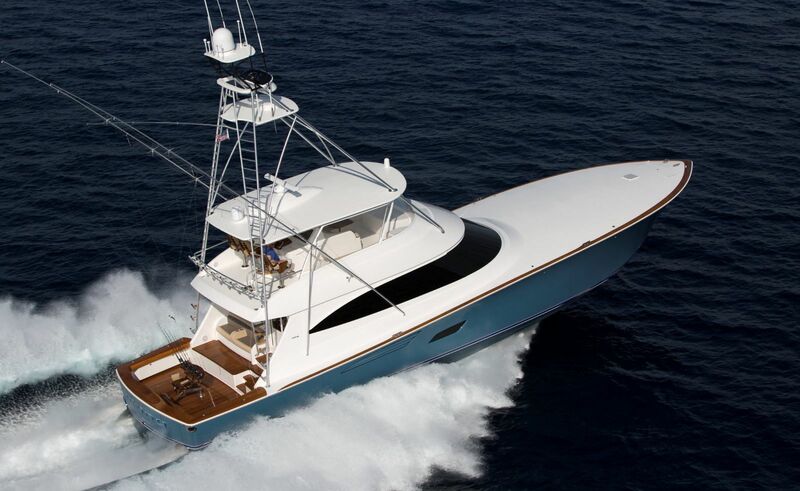 The Viking Yachts 68 Enclosed layout is almost exactly the same as the 68 Convertible with the salon, galley, and 4-stateroom accommodations being identical. The one difference between the Convertible and Enclosed Bridge is that the 68EB has a stainless steel staircase that leads you from the salon up to the upper bridge area.